Welcome to the Fish Necropsy Manual, a project made possible thanks to MSD Animal Health sponsorship and the support from the EAFP. We are happy to share this work with EAFP members and colleagues around the world and hope you can draw some benefit from using this on-line manual. This project has not been easy to complete but we have enjoyed working on it and learnt a great deal throughout the process. We hope the content will enable those working in aquaculture or wild fisheries, whether students, hobbyists, lecturers, managers, biologists or veterinarians, to become closer to the fascinating world of fish. While the images are key to this guide, we believe it has to be supported by sufficient theoretical background to give context and enable to understand the features observed. Finally, we will be updating, improving and adding new sections to this manual so we suggest you revisit the site from time to time. Meanwhile we hope our colleagues from other organizations will feel encouraged to contribute with their expertise so that this necropsy manual expands to include other fish species relevant to aquaculture or fisheries in different areas of the world. Please note that the content of this manual is subject to Crown Copyright and should not be copied from this web site. 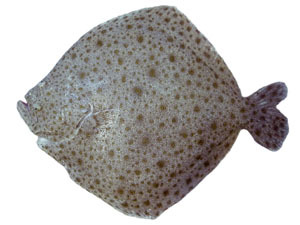 The ten species currently covered by this necropsy manual represent diverse fish groups. This section provides a brief diagnosis by group and information on their relevance within aquaculture, fisheries or research. The wide variety of fish species poses an important challenge in recognising “normality”. 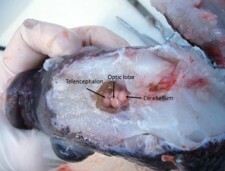 This section provides the basic concepts of fish anatomy and physiology by organ systems, assisted by images and figures. The core of this manual, the external and internal examination procedures, with a strong visual support throughout will be found here. Additionally, the general requirements, equipment, welfare, concepts of euthanasia, data recording and post mortem changes are also provided. 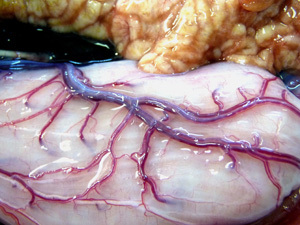 To assist with the recognition of lesions during the necropsy procedure, this section provides an extensive images gallery of macroscopic external and internal pathological conditions and a thematic glossary. Patricia has worked in fish health and disease diagnosis for most of her professional life, the last decade as a senior histopathologist at Marine Scotland Science, the Scottish reference laboratory. 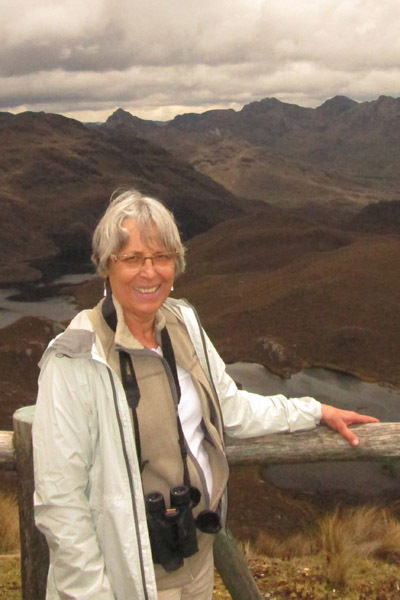 Before moving to Scotland Patricia worked for over 20 years at the University of Comahue in north Patagonia -Argentina, lecturing in Fish Biology, Fish Pathology and running the Disease diagnostic laboratory of the Aquaculture department of the university. Patricia initially studied Aquaculture and Fisheries in Argentina and later took post graduate studies in Argentina, Chile, Germany, Italy and the UK. Patricia’s current work focuses on salmonid infectious diseases, host pathogen interaction on viral infections and development of alternative in vitro models, but the field of interest is much wider and she works also in wild and farm fish emerging issues including parasitic conditions. Patricia is passionate about her work and still very interested in both disciplinary learning and disseminating knowledge and has published a range of research papers and co-authored a book on histopathology of Salmonid diseases. 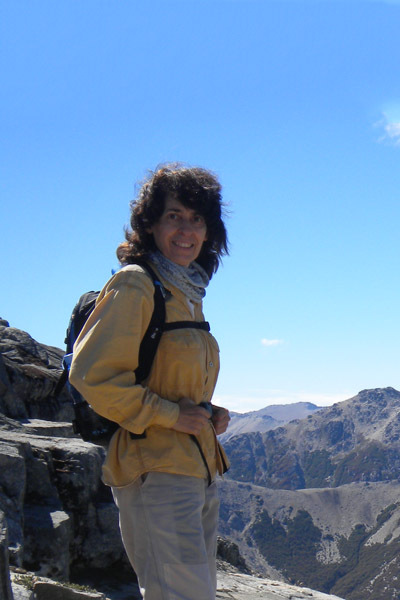 Carmen began her career as a graduated Biologist in the Zoology Department of the University of Buenos Aires, Argentina. She later moved to North Patagonia to work at the University of Comahue where for over 10 years she taught the Fish diseases course for the Aquaculture undergraduates, while started her research in Patagonian fish species with special interest on their parasitic fauna. Later she specialized in vertebrate’s zoology obtaining her PhD and continuing the academic work as a Professor at the University of Comahue. After a long career teaching graduate and postgraduate courses, directing several thesis and having published over 80 peer reviewed articles, a book, and several book chapters, Carmen recently retired in late 2014. David started his career drawing maps for an oil survey company, moving to a technical and research post on tropical diseases at the London School of Hygiene and Tropical Medicine and finally for most of his professional life working on fish health as principal pathologist and named veterinary surgeon at Marine Scotland Science based in Aberdeen. 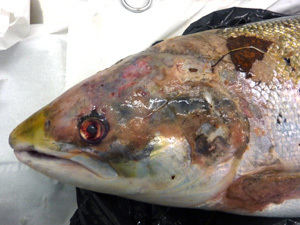 David has been involved in many aspects of fish related research ranging from health monitoring of wild fish, emerging diseases, pathogenicity of viral and bacterial infections and diagnostic and research histopathology primarily for farmed salmonids. He is involved in or leads research projects on behalf of the Scottish Government. He is often consulted for views on histopathology and contributes to an expert working group through ICES. 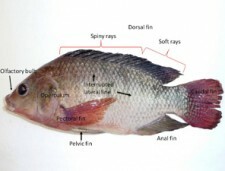 David has published a wide range of research papers and also several books on fish pathology. 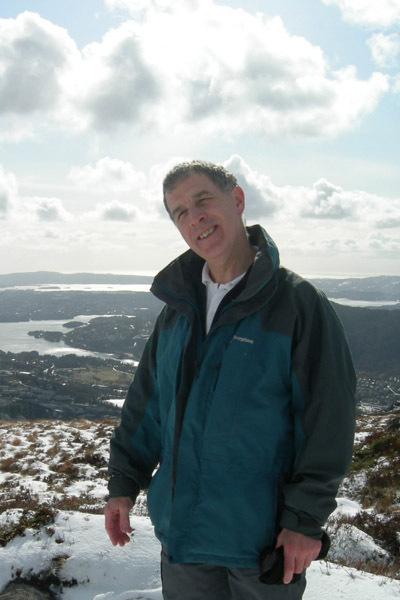 Recently David retired and is now a Honorary Research Fellow at the University of Aberdeen. Liliana started her professional career as a junior researcher at University of Buenos Aires, where later she also obtained her PhD. 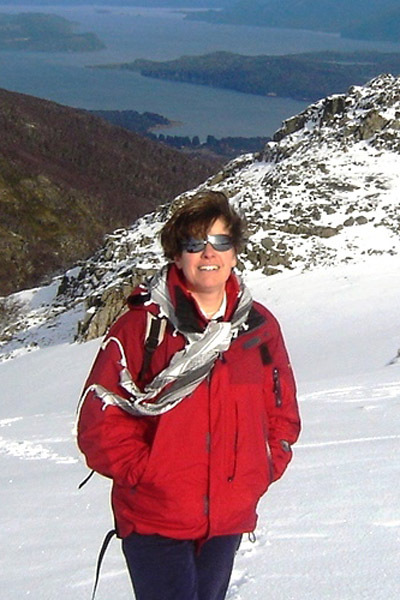 She moved to the Zoology Department of University of Comahue in north Patagonia where she organized the fish parasitology group, which she lead until recent retirement in 2013. During her 35+ years as an academic and researcher, Liliana supervised several graduate and post graduate students while at the time publishing extensively, with over 80 peer reviewed articles and contributing or organizing national and international conferences. Liliana has authored a book on parasites of fishes in Patagonia and contributed with specific chapters on another 8 books. Her research focuses at the host-parasite interactions in wild aquatic environments, particularly helminths and with special emphasis in freshwater zoonoses. She is a member of several boards as academic, project and grant’s evaluator, as well as editorial in disciplinary magazines. Lilliana currently holds an Honorary Professorship in the University of Comahue. This manual has a long history that started many years ago at the University of Comahue in North Patagonia (Argentina), when some of us were involved in education and training during the early days of trout farming. We considered a comprehensive fish dissection manual, with relevant additional information, was missing and started to focus on rainbow trout. Using the limited resources provided initially by the university, our first pictures were taken with a heavy camera using “photographic films”, something many of the younger readers probably have never seen: those cellulose strips requiring a lengthy developing process before pictures could be seen at all! Despite the enthusiasm it soon became obvious that publishing a book with many colour pictures and on a discipline at the time far from popular or highly demanded outside the academic world, was going to be financially very costly. Then time and availability and our evolving professional pathways meant the project was put to sleep for several years. However, some stories have happy endings and years later we were approached by a publisher specializing in aquaculture. By then we were working in different parts of the world, but alongside this our experience had expanded and grown. Furthermore, some colleagues have moved on but a new one joined us enriching the group, and our renewed challenge now included widening the approach to incorporate other species and deciding to produce a bilingual version. Sadly, the project stagnated when the publisher decided to close the business and once more, the project slowed down for a few more years. However, with all co-authors continuing looking at fish, their biology and health issues, the idea never left our hearts. During an EAFP general assembly at the 2013 conference, it was noticed that the association had not offered recently any “extras”, following the success of the “What shall I do” manuals produced in the 1980’s. It seemed obvious then we should offer the manual as a contribution through the association where some of us have been members for decades. Time and financial resources were still limited, but we seeked and obtained the sponsorship from MSD Animal Health and the idea developed further by deciding to convert the manual into an on line application: the Fish Necropsy Manual project was re-launched and could now be offered to the EAFP! We believe the new approach would guarantee an easy accessible and interactive platform, allowing for regular updates and potential for expansion. 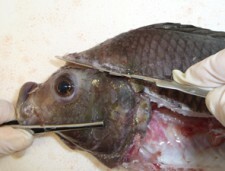 This work can be cited as: Noguera P, Ubeda C, Bruno D and Semenas L. “The Fish Necropsy Manual”, 1 Dec. 2015.